Last week we had the chance to catch up with some of our customers at HIMSS in Orlando, Florida. In 2015, healthcare made up 17.8% of the U.S GDP, which equates to roughly $3.2 trillion in spending (up 5.8% from the previous year). With the advent of cloud technology in this space, we are beginning to see how companies of all sizes are using AWS to provide superior analytics, integration, and services to customers all around the world. Whether your company is made up of 2 people, or 20,000, you can use the cloud just the same by scaling to meet any of your business needs. 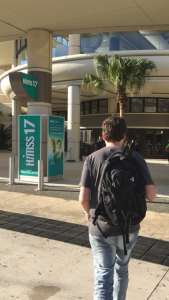 This year’s HIMSS brought in over 40,000 participants. We had the opportunity to catch up with 16 of our customers at their booths, and learn all about what they’re working on within the cloud computing space. Following is a list of the companies we visited. Follow @awsstartups and @awsonair to stay up to date with upcoming AWS on Air videos where our Global Startup Evangelist, Mackenzie Kosut, will be visiting Singapore, London, Portugal, Spain, Tokyo, and more to check in with some of the most cutting- edge startups in the world. Live with the CEO and co-founder of Arterys, who offers a clinical SaaS analytics platform that is revolutionizing medical imaging and healthcare through ultra-fast cloud computing, advanced visualization, and deep learning with AWS GPUs. With the CTO of Clear Data, who offers a managed cloud environment for sensitive healthcare data. Live at the Splunk booth where they showcased an all-inclusive disaster recovery system built with AWS IoT, AWS Lambda, and Amazon Kinesis, and visualized with a Splunk dashboard for analytics. Catching up with the founder of Syapse about a future where oncologists from around the world can integrate and learn from each other’s data in the cloud. Talking with the COO of 8k Miles, a long-time partner who is helping highly regulated industries move to the cloud. With Orion Health talking about Amadeus, a comprehensive approach to acquiring, measuring, analyzing, and presenting actionable clinical and claims data, as well as non-traditional data powered by AWS. 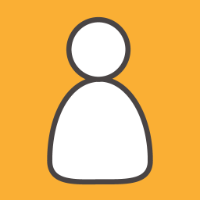 At Connectria, a “jerk-free” managed services provider who helps run your HIPAA compliant applications on AWS by providing performance monitoring, security, compliance, cost optimization, and more. Catching up with the CEO of PokitDot, who offers a cloud-based API platform designed to make healthcare transactions more efficient by streamlining the business of health. Catching up with Philips, who is using AWS Lambda and the AWS Snowball Edge to extend the capabilities of their HealthSuite. Talking with founder of Protenus, who uses big data and ML driven decisions to detect data breaches within healthcare. Live with Fortinet, who is helping companies manage complexity and security when it comes to digital transformation, IoT, and cyber security. Catching up with the CEO of HC1 who provides a turbo-charged healthcare CRM that allows companies to efficiently manage the many different types of relationships tied to their business. At the Juniper booth talking about some of their high-performance security solutions like the Virtual MX Router, and Virtual SRX, both of which are available on the Amazon Marketplace. Talking with Prosphere about their product HC Standard which provides tracking for critical resources, patients, and emergency assets. Live at the Alfresco booth and talking about their open source, open platform solution for digital transformation with a focus on content and process. With Tableau who offers business intelligence software that helps users better see and understand their data.